The berlin based techno liveact Env3 is back on AYCB. 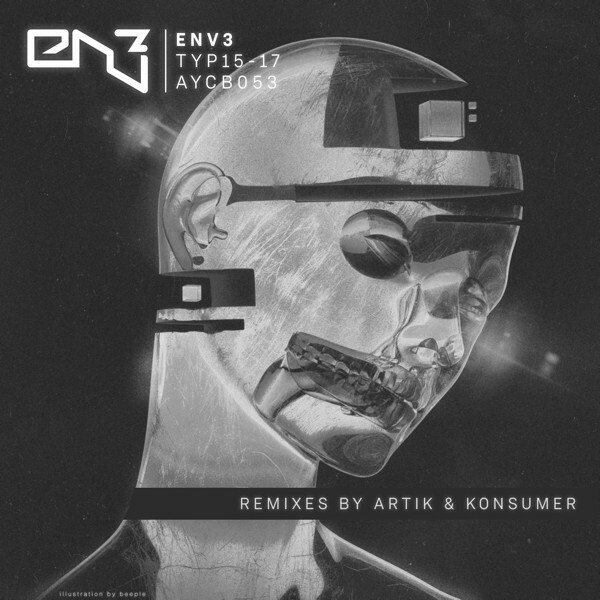 The new EP comes with 2 originals and 2 great remixes from Konsumer & Artik. The young spanish techno/electro producer and liveact Artik lives in Berlin, works every night in his analog machines studio and released in coum, subsist and monolith records. Konsumer, the ukrainien 14 years old Producer, now based in vienna released on nachtstrom schallplatten or darkness. Release: 22.januar pre beatport / all 5.2.